The World of GTA 5 is packed with secrets. Some are from the developers of Rockstar Games well hidden on purpose, while others should never be discovered. A glitch uncovers a secret place in the city. How it works, we tell you here. In online mode of GTA 5 you can find a hidden apartment in Los Santos. For this you have to make a glitch advantage and also needs a parachute. How can you find exactly the secret location, we will show you in our guide. 1. Get a parachute from Ammu-Nation. 2. In addition, you need an SUV or a comparably high vehicle. 3. 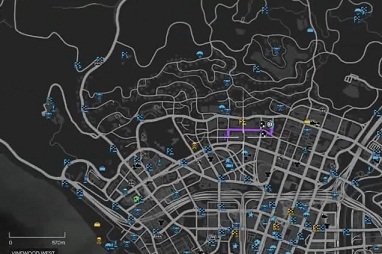 Then select the map position in Vinewood West. 4. Drive into the garage and park the car on the wall so that you can climb on the car then to the ceiling. 5. Now jump into the area and trigger the parachute. Your goal is west of you. 6. Once you land on the apartment you can switch into first-person view, to make the interior visible. 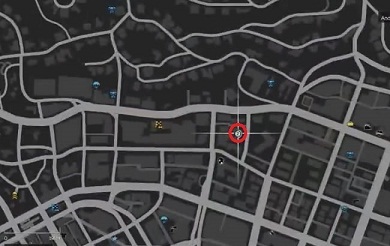 The You Tube user Aimex has made the secret place in GTA, a video, which also shows the exact location of the hidden apartments. Once you enter your apartment above the land after loading the screen the hidden apartment is below. However, this glitch only works for versions of PC, PlayStation 4 and Xbox One .